Exciting Updates to Our Bridal Suite & Grooms Room! Featuring a century-old linden tree, a historic Manor House and modern amenities, Springton Manor Farm allows new wedding trends to seamlessly integrate with age-old traditions. Thanks to the periodic updates to this charming property, mixing old with new is an ongoing theme at Springton Manor Farm. 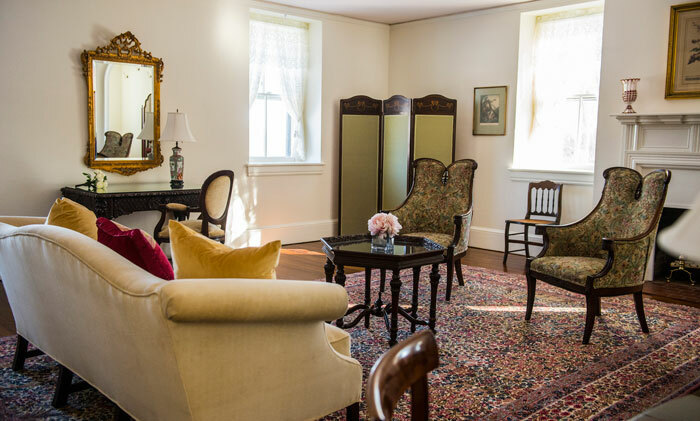 Most recently, the elegant bridal suite and grooms room switched places and underwent serious renovations to elevate couples’ wedding experiences. As you prepare for your big day, we invite you to take a look at the renovations and additions recently made to these private spaces. The grooms room continues to be a luxurious place for gentlemen to gather their thoughts, emotions and pride as they get ready for their big day. When guests step into the room, they find a convenient coat rack to hang jackets and suit coats before heading to the couch and two leather chairs to relax and take in the incredible vistas. 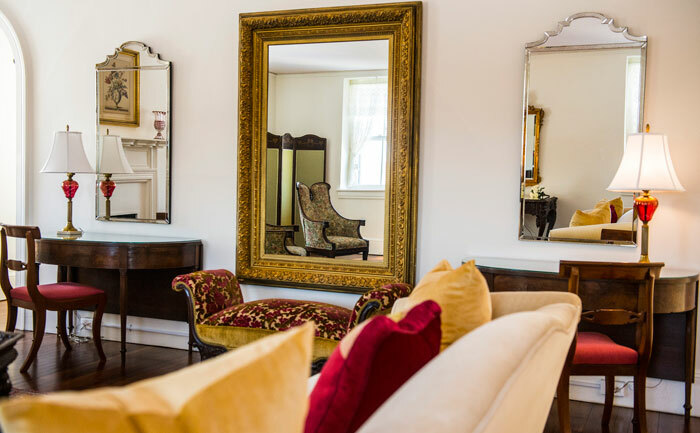 And, as always, our staff is happy to help you bring in any personal items that put the finishing touches on this private space—giving you just the atmosphere you need to be at your best. Our ornate bridal suite is filled with more brilliant light and positive energy than ever before. Updated electricity allows for multiple hair dryers, curling irons and straighteners so everyone can prep as needed. You will also find three dedicated make-up stations that benefit from the wonderful natural light that fills this space. And your photographer will appreciate the three strategically placed hooks for your wedding dress—adding to the incredible photo ops found in this elegant room. Add in the refrigerator stocked with chilled drinks, and everyone will enjoy this refreshing and rejuvenating oasis. As recent WeddingWire reviews reveal, couples enjoyed charming moments in these large suites even before the recent upgrades. 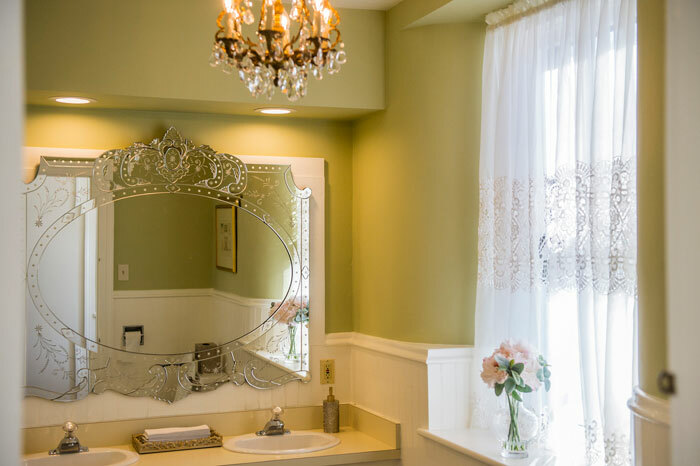 For example, Robin noted that these luxurious settings “are totally perfect for pre-wedding photo opportunities.” And so we can’t wait to hear how much our bridal suite and grooms room delight couples now. 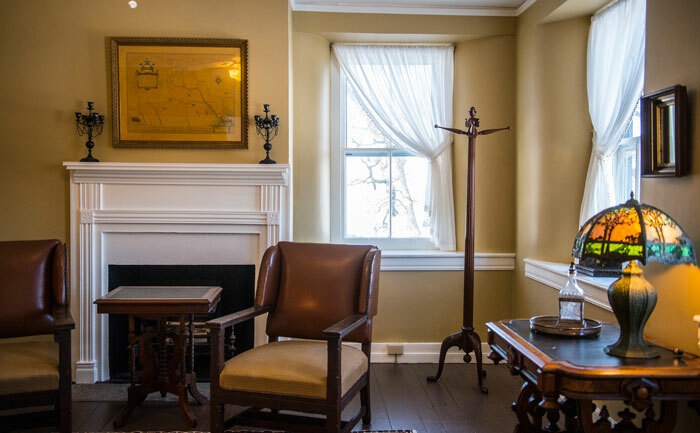 Just like every part of the Manor House, the historic charm and classic design of these spaces never fades, yet their offerings continue to expand. To learn about all the stunning features that the sophisticated Manor House offers your wedding vision, contact us online or give us a call at 610.733.2516.